The Fiber Optic Sensing Association (FOSA), the world’s premier trade association for distributed fiber optic sensing (DFOS), today released a brief primer entitled FOSA Installation Considerations for Pipelines. 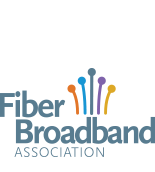 Fiber Optic Sensing Association today applauded the U.S. Pipeline & Hazardous Materials Safety Administration (PHMSA) for promoting research and development on pipeline safety, including taking the first step in developing a Recommended Practice document for external pipeline leak detection.